The Magical Tipster is under serious pressure from The Villain. For those who follow The Magical Tipster life can sometimes be very boring. Unlike Donald Trump it can sometimes be boring constantly winning. So, The Magical Tipster will sometimes get involved in other situations and propositions to make things interesting. This for his fans can be very frustrating as other tipsters and traders will constantly try to take him on. The most pernicious in this endeavor is The Villain and his wanton and scary ‘systems’ can sometimes put The Magical tipster into a spin, as can be seen in their horse racing tips. However, put The Magical Tipster in the realm of politics and political betting, The Magical Tipster is formidable. 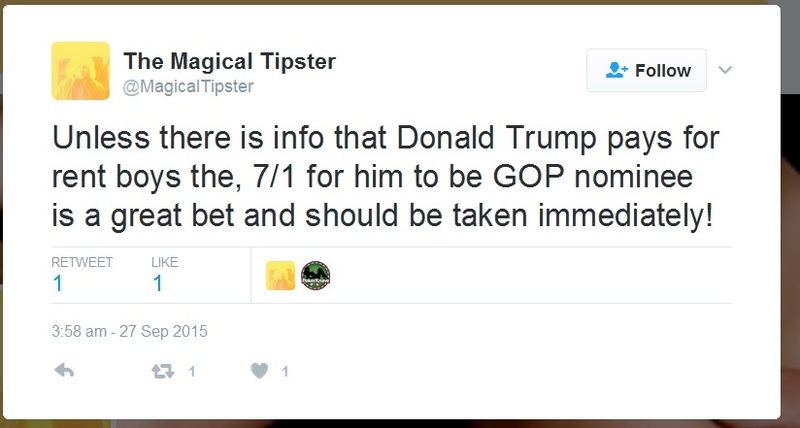 As was witnessed on Thursday 8th, 2017, The Magical Tipster for the fifth time in a row, has predicted a major political event. The Magical Tipster correctly predicted that the Labour party would get over 200+ seats and that their was a good chance of being a hung parliament. This was a major call by The Magical Tipster as the perceived wisdom was that the Labour Party was going to get a hiding that they never ever experienced before! In fact we on the ad hoc editorial board made it pretty plain that the Labour party was in peril with Jeremy Corbyn as it’s leader and since we like an environment in which social liberty and economic equality is the world in which we would like to inhabit, could be a problem. Powerful forces are looking to create a Ayn Rand dreamland in which the strong get everything and the weak get what is left. If you want an example of this just look at Donald Trump’s health proposal as in its heart is the aim to destroy the welfare state most potent symbol – community health in which you are serviced according to your needs. So, when Theresa May called a snap election things did not look great and likewise the opportunity to make money looked even worst. Yes, the favourite looked strong, but, we are dealing with people, ideas and persuasion so there can be chances to change things. Labour did and the Conservatives didn’t. We called for a coalition of progressives to attack the fractured nature of the progressive side of the argument. We also called for the hasty resignation of Jeremy Corbyn. The Magical Tipster held his fire! The election campaign was classic insurgent warfare. Labour fully costed their manifesto, the Tories didn’t. The Tories robbed Labour of all their policies, including the ‘Dementia Tax’. Very sloppy from the Conservatives! Labour decided to do ‘quantitative easing’ for students and do what the country did for the bankers – give the students £27,000 each by ending tuition fees. This is a very popular idea and is no more wrong than hat was done to the bankers after Lehman’s Day 2008. In fact you could say that it showed what could have been done if every man, women and child had got £57,000 each instead of giving the bankers £375bn. Most would have spent some or all of the money and this would have greased the wheels of capitalism which had been locked completely. Since the students tend to come from middle to upper social class it meant a lot were based in areas in which the Tories are strong. The Tories hate education grants and love private payment for education. So the situation gave the students to vote for paying for their education or have tax payers paying for it? Then there was the down right slippy move by Corbyn to agree for a television debate while Theresa May didn’t. Her reason sound timid and nonsensical. Corbyn then looked fearless. The Tories last move was the newspapers and their over the top portrayal of Corbyn as the love child between Hitler and Genghis Khan. It said to the free thinking, anti-bullying, anti-establishment, fair play to all type of voter that this is too much and was plain wrong. This was the time for The Magical Tipster to make his move. The betting markets was underestimating the mood of the country and the voters. Austerity is not a virtue when the elites are having a wonderful time on free money which is quantitative easing. Pippa’s wedding encapsulated this blatant flaunting of wealth based on welfare from tax payers. The optics was not good, but, it was good for betting. Just as he did in the previous political bets he made his opinions known to the world. He stated the Labour would get over 200 seats and was a massive safe bet. He then offered a hung parliament as a riskier, and, therefore more rewarding tip. These two went in like taking candy from a baby. 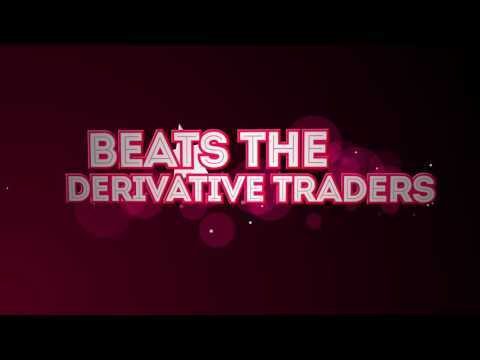 Following the The Magical Tipster is the thing to do when you want to play the markets. It can go on forever, as the big bet on Trump getting the GOP nomination did. It went on for over 10 months. So if you can suffer the length of time – welcome on board. 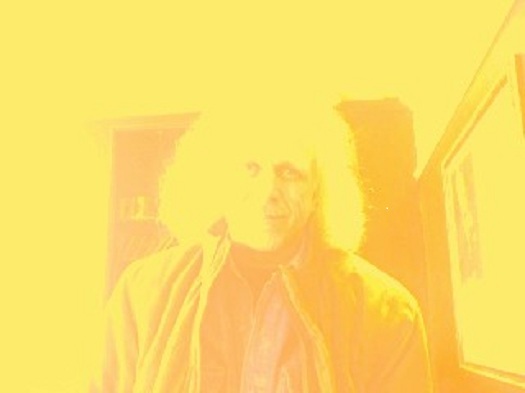 It is all very mystical! 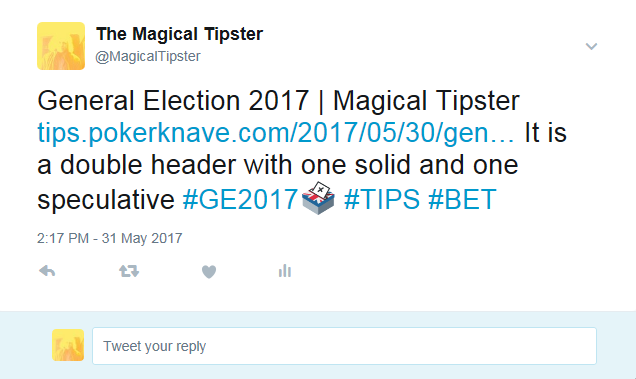 PokerKnave's Blog betting, conservatives, Donald Trump, gambling, Jeremy Corbyn, labour, politics, The magical tipster, The Villain, Theresa May, tips, UK. permalink.